We know, we know: If you’re like a lot of people you’re probably thinking, “I’d never get engaged at an amusement park.” And you’re right. Neither would we. 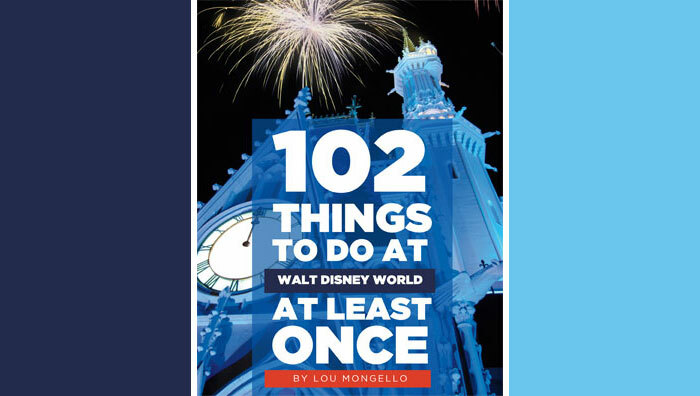 The truth is — and if you’re reading this blog, you probably agree — Walt Disney World isn’t just simply an amusement park; it’s a transformative destination, one from which you leave the real world behind and create your own magic and memories. As such, for a couple who loves everything Disney — whether it’s the vacation destinations, the movies or the timeless characters — Disney World was the ideal spot to “pop the question” several years ago. And talk about magical: Where else can you begin your happily-ever-after story in front of a storybook castle? Visit Disney World enough, and you’re likely to catch a proposal at the park (probably in front of the Magic Kingdom’s Cinderella Castle 99 percent of the time, but there must be some guy who’s gotten down on one knee in front of Spaceship Earth or the Tree of Life, right?). But what goes into making such a decision? In a word: planning. 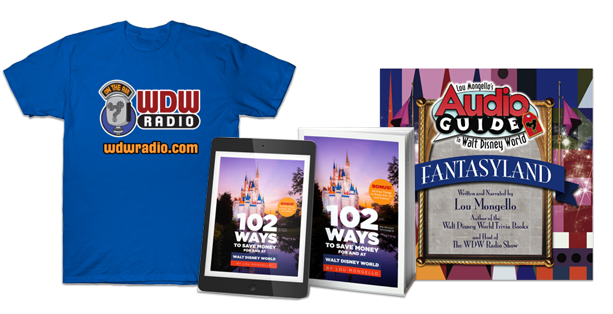 Myriad questions flood the mind when deciding to ask for a hand in marriage at WDW. How will I get the ring through security? When is the best time? Where’s the most romantic spot? What if (gulp) she doesn’t say “yes?” These are some of the top queries that will keep you up in the nights leading up to the big day. Luckily, for every question you might have, WDW has the answer. Let your loved one walk ahead of you through the bag-check line heading into the park (pretty chivalrous, right?) and quietly show the security guard the rock. He’ll smile as he waves you through the gate. Looking for the best time? The Magic Kingdom’s daily 3 p.m. “Celebrate a Wish Come True” parade makes a great backdrop if you’re looking to propose in front of the castle. Or, if you’re looking for fireworks played to the tune of classic Disney tunes to set the mood, you can’t go wrong springing the question during the “Wishes” extravaganza. Be it the Plaza Rose Garden to the right of Cinderella Castle (with its privacy and undisturbed view of the palace), a stroll along Main Street USA or even at Beast’s Castle in New Fantasyland, WDW offers countless one-of-a-kind, romantic locales at which you can make your memory. Perhaps the most vital part to making your WDW engagement a moment you’ll forever cherish can’t be found on a park map or planning website. It’s the people, Disney World’s cast members, who will make sure that out of the hundreds of proposals that take place on property each year, yours will be the best! It can be something as simple as having a PhotoPass photographer snap your magical moment or heading to City Hall to receive your “Just Engaged!” buttons. Or you can dial up Disney Floral and Gifts and have a bouquet of roses waiting at your resort room when you arrive back from the parks. If you’ve got the imagination (and the budget), there is seemingly no end to the way Disney can make your special day magical. Have you ever seen an engagement at Walt Disney World? Or were you the ones receiving all the oooohs and ahhhhs after slipping the ring on her finger? Feel free to comment below and share your memories with us! My other half proposed to me at WDW in November last year! We had dinner in Be Our Guest Resturant, followed by Wishes infront of the Castle! My ring was sadly not ready for the trip, so he gave me a beautiful Mickey Ring which I still treasure! The following day we got Celebration Badges and were treated like royalty throughout the rest of our stay at the World. To conclude the trip we went on a 7 Night cruise on the Fantasy…! What an engagement trip! 2015 WDW Wedding.. Cannot Wait! We saw a young couple get engaged at Be Our Guest. He arranged for them to write “Will You Marry Me?” on the plate of the “gray stuff.” Everyone clapped, and The Beast congratulated them when they visited him for pictures. Very romantic and very cute. We were watching the Wishes fireworks in Magic Kingdom near the rose garden in March 2012 when we realized there was something very special going on with the group of young friends next to us. Lots of snapping of pictures and a young man down on his knee, a young lady covering her face a bit as she smiled/cried her Yes! response to him. It was so cute and romantic. A special addition to our already magical day at WDW. I proposed to my girlfriend at the top of the Wilderness Lodge back in December. We are both huge Disney people and actually met working for DVC when they had a preview center up in NY. I had called around and made arrangements for is to be selected Flag Family for the morning after we arrived at WL. I corresponded wih Ranger Jack at the lodge for months to arrange this. I had a flag made by the same company who does WL flags on the roof and it’s Disney font it said “Brittany, will you marry me? So the day came and me and her and our close friend met in the lobby. Ranger Jack each have us different flags, all folded up that each of is would be in charge of. So up to the roof we went. From up top you can see all of Disney property, all the major park icons. I hoisted the Florida State flag and then the US Flag. Our friend the WL flag. Then Brittany, who believed to be holding the DVC flag went up to the pole. Ranger Jack rigged it up still folded and she began to raise the flag. Is it unfolded she then read what it said. It could not have gone off more perfectly. We have amazing photos and videos our friend and a CM who came along took. I love the idea for this blog, y’all! My boyfriend and I are avid Disney fans and hopefully one day we will get to share special experiences like these. We were at Magic Kingdom just last month and my love proposed during wishes! It was so sweet and will always be a treasured memory. The place is magical as it is but he made it that much more special for us! I proposed in March in front of the castle after we did the early morning character breakfast at Crystal Palace. I DIDN’T EVEN THINK WHAT WOULD HAPPEN IF SECURITY ASKED ME TO EMPTY MY POCKETS? Wow! Great advice with that one. It was an amazing experience. Every castmember was full of congratulations and well wishes. Every little girl thought I was the best thing ever for proposing in front of the castle. My fiance and I got to meet many couples, including a couple wearing 40 year anniversary ears, whom all showered us with congrats and tales of their own proposals. Just truly a magical experience.